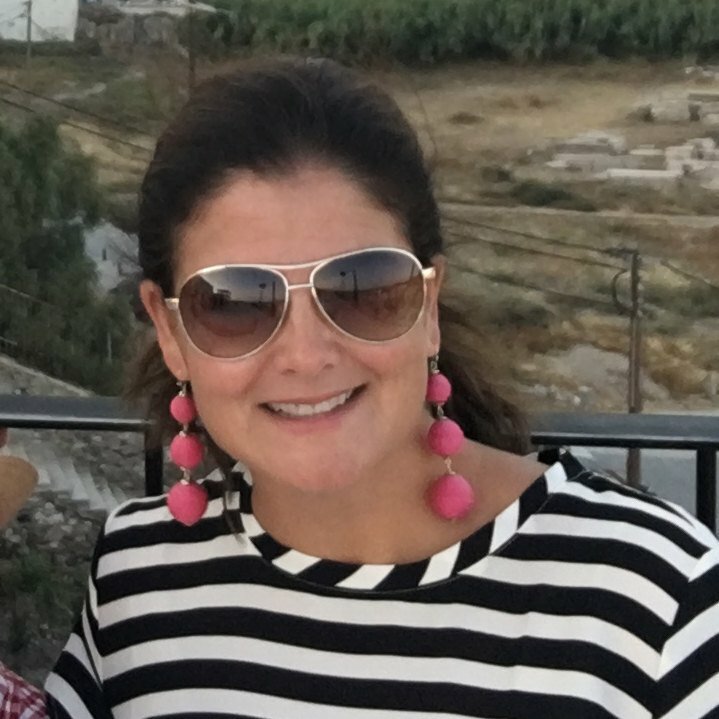 While I admit, we are having gorgeous weather here in Austin, I am nonetheless having vacation brain. 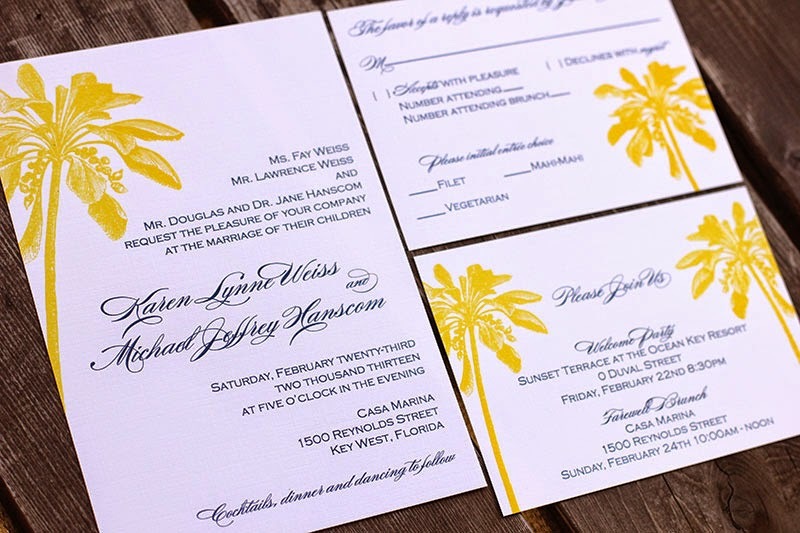 I am ready for some beach time so I thought I'd share some of the different and gorgeous colors our clients have chosen for our Palm Tree wedding invitations. Navy and yellow is such a classic combo! 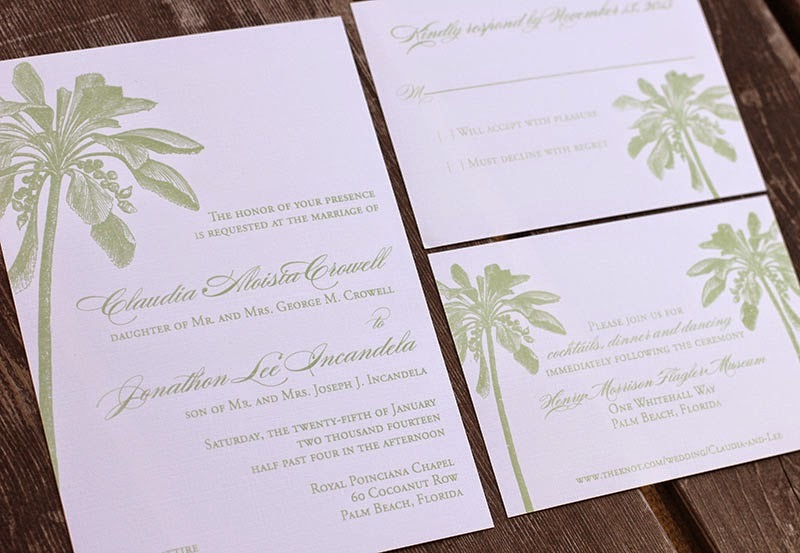 Shown above in our celadon thermography printing. A romantic and elegant feel. I think that navy is a great classic for any beach wedding, giving it a very nautical feel. 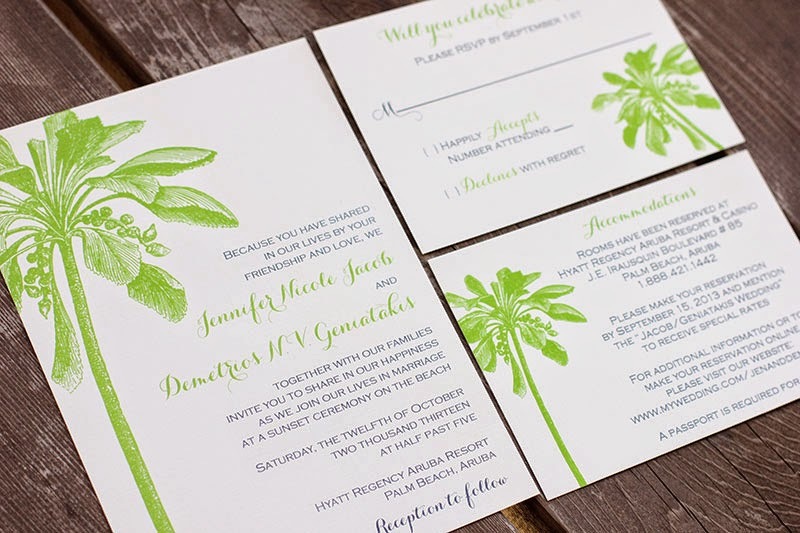 This fun style combines navy with lime green. While many people may not automatically think metallic silver for a palm tree design, I absolutely love how this one turned out. 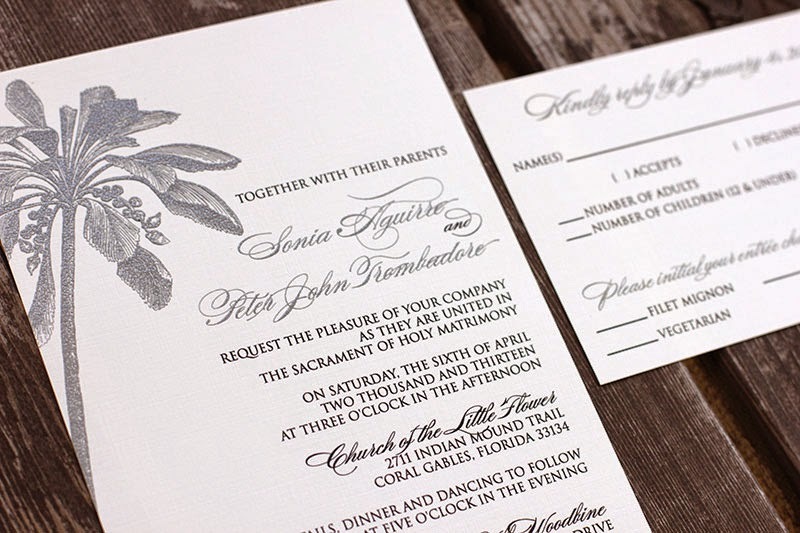 I am never one to shy away from metallics and this suite looked so elegant in the silver thermography printing! 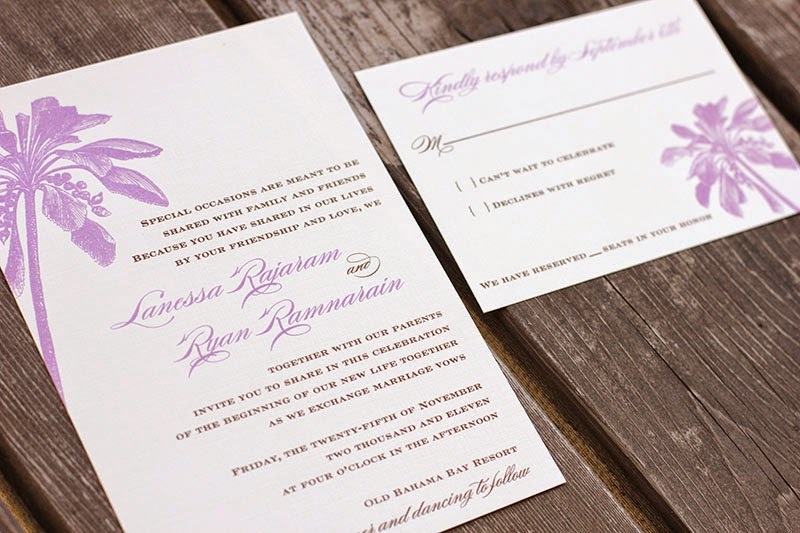 Don't you love the lilac and chocolate combo? 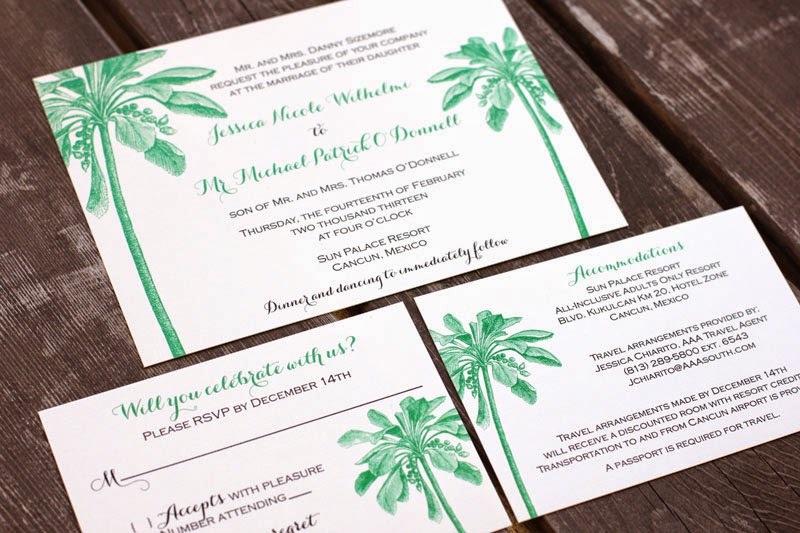 And this is our horizontal Palm Tree wedding invitation design printed in green thermography. Green is such a classic choice and so fresh feeling. 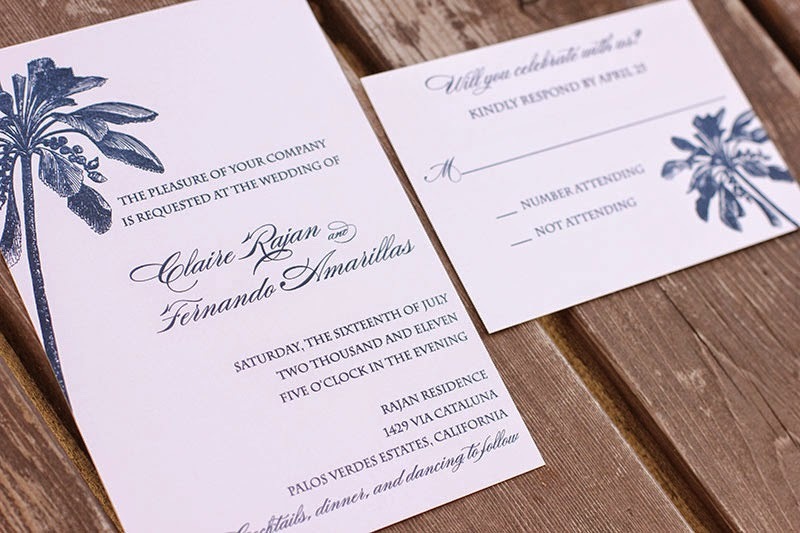 Don't you love how color alone gives these invitations such completely different feels?